The landscape of enterprise applications is changing very fast. Enterprise IT that includes security, management, governance and analytic is becoming increasingly complex. Now more than ever before, pace of new technologies are lowering cost for running business and improving speed-to-market. All this while providing required controls to business over their data and systems. System Integration and Data Management has been the biggest cost component of IT budget for big business across industries. Earlier integration & connectivity was dealt with creating point-to-point connections. Over the time this has become a big spaghetti problem which abates any system upgrades or reconfiguration without waste of time and money. At the dawn of enterprise applications many types of business software such as supply chain management applications, ERP systems, CRM applications for managing customers, business intelligence applications, payroll and human resources systems typically cannot communicate with one another in order to share data or business rules [Read more: Enterprise Application Integration]. For this reason, each of these applications enabled integration either at the database level or at the UI. Many of the middle ware applications were evolved to make this problem addressed. But all of them just handle point-to-point integration. 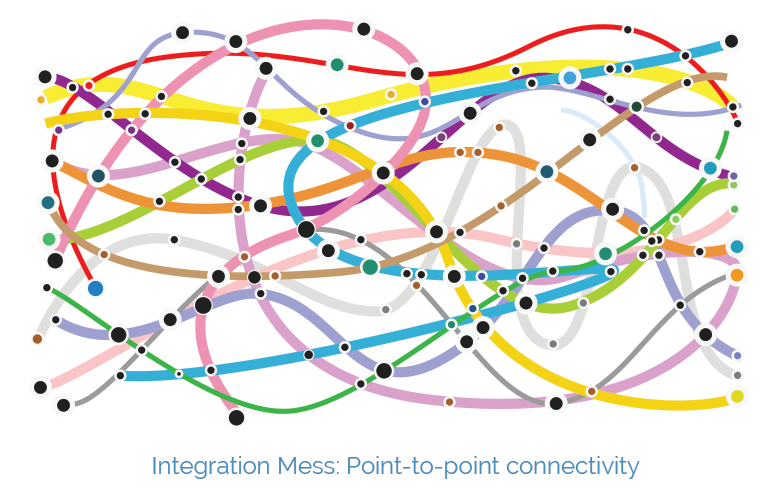 This type of integration is a big mess and posses challenge when enterprise tries to make change in their data model or reconfigure the connections. Fast forward to the current demand from Enterprise Applications — this problem has become worse. Business needs integration not just with their on-premise applications but they need the same connectivity with Cloud, Mobile & Social Applications. On top of all, they want this connectivity to extend beyond the enterprise between the trading partners for data exchange without heavy handed data governance. There are many newcomers who are redefining this landscape that solves this problem of enterprise systems, cloud apps and trading partners connectivity with much improved ease of use. These new platforms support mobility, connectivity with cloud and on-premise applications from anywhere, anytime. This trend indicates that the “technology integration” space is yet to go through a sweeping change and best of the technology is yet to come. This is going to disrupt the existing players offering in favor of demands from enterprise business users. This makes the Business Technology Integration and Data Connectivity Space most fertile ground for new product innovation. There are multitude of problems that are been addressed by this technology — mobile application integration (MAI), cloud services integration (CSI), API management besides unifying connectivity of all on premise applications. The technology solution that is addressing these issues is called iPAAS — Integration Platform As A Service. But wait, this is not the same iPAAS idea that you have been pushed out by the existing players such as Dell Boomi, Informatica, Mulesoft, MS BizTalk or IBM’s Cast Iron. These players have been incremental in their approach — they have added a web client on top of their thick-client based software that still is loyal to heavy handed IT organizations. The new idea is to make business connectivity more social, collaborative and easy to use by business users. 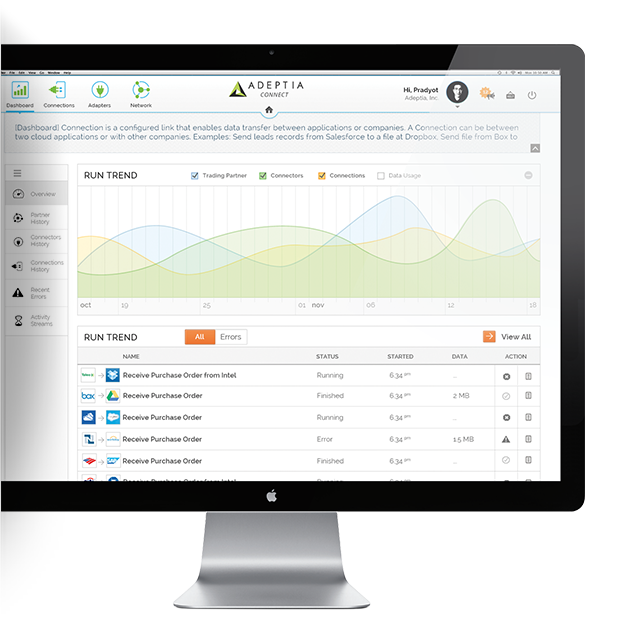 I have the privilege to work with one of the Business Connectivity Applications player, Adeptia Inc., to help design a product that will address the issues at the minimum, but over the time will make the connectivity easy to manage by the businesses. This application is designed with non-technical business users in mind. It is build on the social and collaborative and creates an appealing environment for self-service. This platform over the time will expand with functionality and will enable marketplace for adapters (i.e. connectors) and data mapping templates. The ease of use as demanded by the businesses, and the marketplace for the complex tasks that businesses needs from IT will be commoditized and that is one of the big disruption that this space badly requires to make the enterprise applications interoperable, easy and efficient. Before we learn more about the new iPAAS, it is important to drill down at the enterprise integration space. Integration within the enterprise application has been one of the biggest cost for the IT organization. On top of all that with the rise of SAAS applications, Social Networks, mobile devices/applications the need for connectivity has proliferated beyond comprehension. 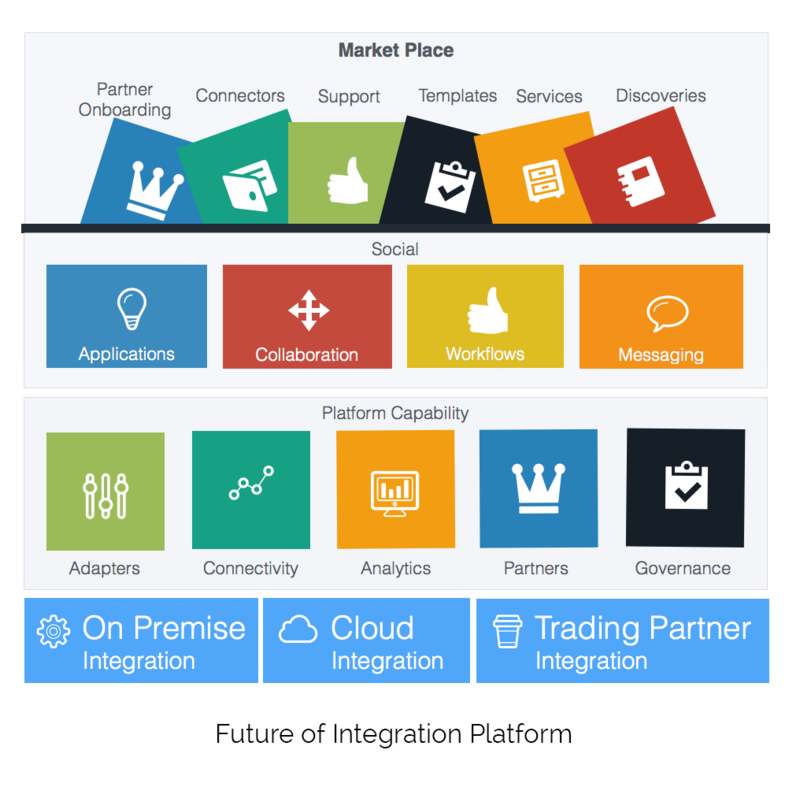 The integration market is nearly $8 Billion industry today (in 2014). Despite innovations within iPAAS this segment of the market is projected to be approximately 14 Billion in next 5 years . The growth of market is happening due to the proliferation of business applications/data, while reduced cost to IT. 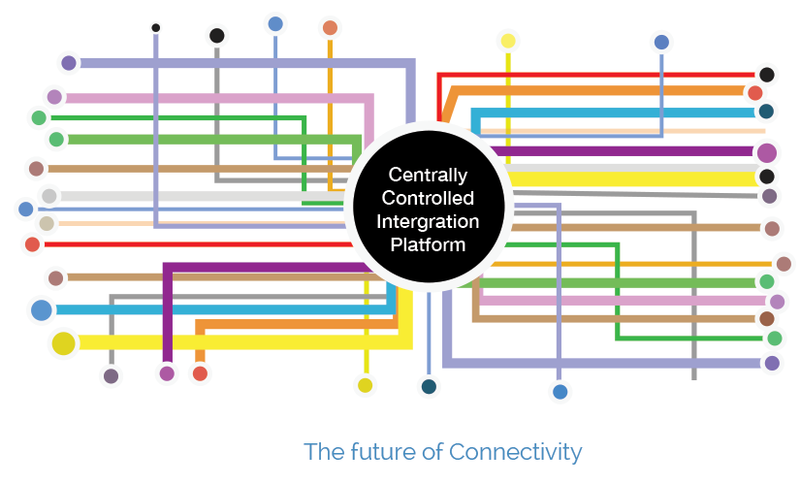 The speed with which demand for integration is about to grow, the current approach of point-to-point connectivity just can not handle. There are many new players entering this already crowded field. Informatica, Dell Boomi, IBM Cast Iron, Mulesoft and many other established players are serving to this market with their traditional products and approach. These players are constantly creating new products that can tackle the growing problems of cloud, mobility as well as on premise integration. Dell Boomi is the favorite among them when it comes to making it simple and intuitive without messing with the code. Then there are many new players who are approaching this problem from outside-in perspective. Players such as Zapier, Snaplogic and many new players are approaching this problem with solutions that is driven from collaboration among the partners. But none of them are there yet to meet the ultimate vision — making it easy and simple for business users, creating a market place for plug-n-play and enabling many value added services on top that businesses requires (i.e. 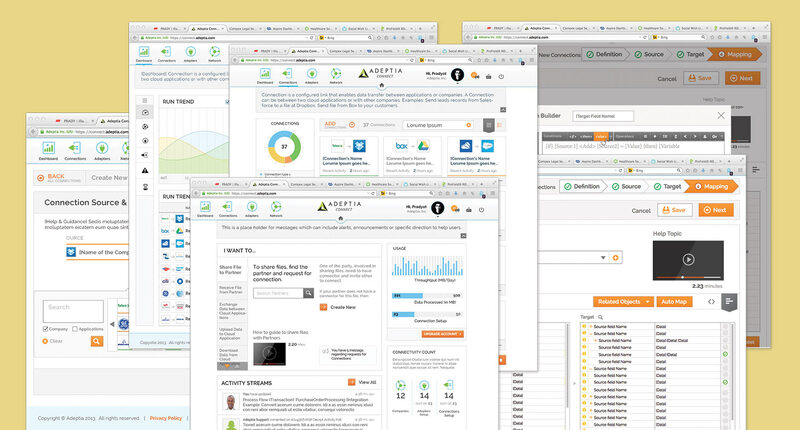 analytics, governance, adapter’s enablement, to guess just a few). With little exception most of these players are targeting their product (bundled with professional services) to same old technology organizations. Established players are not the innovators. The best ideas for innovation is coming from either the smaller players, or the NewCos who did not have larger foothold. Established players have the fear to loose their market share due to commoditization as well as cannibalization which is driving their mindset for the status-quo. There are segments of industry that are untapped by the heavy integration play. SMBs fall in this space. They never had the budget to spend on big IT and have been either doing most of these tasks manually or with the home grown integration methods. They were reluctant to buy in to the license for “software”, but will be willing to use “utility based model” or subscription that comes with cloud. Many of these players are being targeted by smaller players such as Zapier, CloudWork, IFTTT etc. This is a new trend that is sweeping the technology landscape. As technology becomes mature, businesses whats it under their control. This helps speed to market and manage their data more effectively. This also helps CIOs because it removed the gun from their head and frees up their resources for more value added activities. There is a growing demand from LOB managers to manage their own connectivity. These new breads of managers have the budget and resources to DIY kind of connectivity. There are also many individuals in these organizations that need an easy to use platform for their unique needs. All this requires integration companies to really understand the context of use, and their new users. Instead of pushing their thick client software licenses, they should be focused on minimum functionality that gives the biggest bang to business users. The idea of iPAAS has started in SAAS model where it becomes proprietary platform for an enterprise to unify it’s own cloud and on premise applications. This is definitely better options to clear their spaghetti mess. But this model will be challanged by players who overlays “networks” (as in Trading Networks) on top of connectivity. The new platform will not only demand connectivity within an enterprise, but discovering new partners and applications on this platform. This model at its nascent state will popularize “collaboration”, “marketplaces” for connectivity services, templates, connectors/adapters. By opening up the boundaries in order to join such platforms enterprises will benefit from cost advantage and productivity gains. 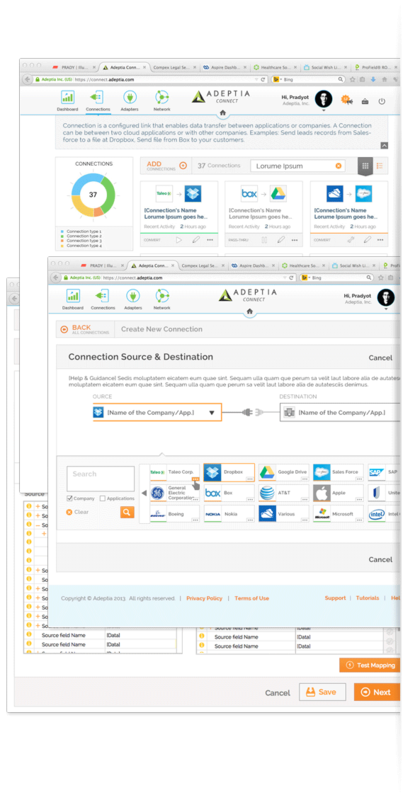 Visualize a platform that is like “linkedIn” for business connectivity.